You'll find several dining options, not to mention a convenience store, managed by Bon Appetit and located at the Warch Campus Center. Check out the pages below for hours of operation and location. Bon Appetit provides dining and catering services to Lawrence University and manages the Viking Room, LU's bar located in Memorial Hall. 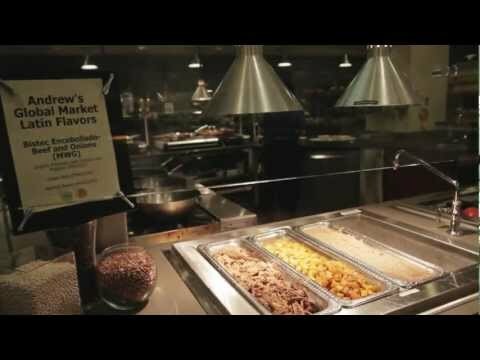 Bon Appetit has been the dining service provider at Lawrence University since 2009. To learn about the organization's commitment to sustainably grown foods and fresh, seasonal produce, visit Bon Appetit's website. To learn more about Bon Appetit and its commitment to sustainably grown foods and fresh, seasonal produce, visit the organization's website: http://www.cafebonappetit.com/menu/your-cafe/lawrence/. Note that the organization modifies its site often, so if links don't work, please let us know by emailing deanofstudents@lawrence.edu. Let us know if you have questions or comments about dining at Lawrence University.